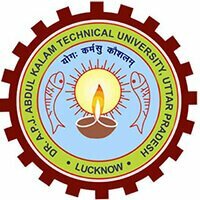 UPSEE (Uttar Pradesh state level entrance examination) is one of the most sought-after engineering entrance examinations conducted by AKTU (Dr A. P. J. Abdul Kalam Technical University). Expected to be held in the last week of April, qualifying UPSEE 2019 will get you seats in various colleges and institutes affiliated to AKTU in Uttar Pradesh to pursue graduate and postgraduate level courses in the fields of engineering, management, pharmacy, etc. Submit the UPSEE 2019 application form between the third week of January and last week of February and pursue B. Tech, MBA, MCA, B. Pharm and B. Arch. Eligible candidates applying for the exam should note that the UPSEE score will be accepted by more than 400 engineering institutes in the state. 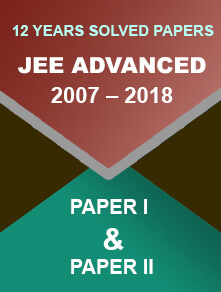 To help you understand the exam pattern and prepare better, we have furnished information about the important dates, eligibility criteria, exam pattern & syllabus, application process, etc. Though AKTU has not confirmed the exam commencement and registration dates, it can be guessed that the UPSEE 2019 registration process will begin in the 3rd week of January 2019. The exam will probably be organised in the fourth week of April (for UG courses) and in the first week of May (for PG courses) 2019. The exam will be conducted in both online and offline modes. How to Fill UPSEE 2019 Application Form? Get registered for the test by providing important details such as the name of the candidate, mother’s name, father’s name, DOB, etc. When registration is done, log in and access the application form by using registration number and password. Enter personal and educational details in the form correctly. Upload the scanned copies of the passport-size photograph and signature in accordance with the given specifications. The photograph needs to be in the JPEG format with a maximum size of 100 KB. The signature must have a maximum size of 30 KB. It should be in the JPG/JPEG format. Make payment for the application fee according to the prescribed mode of payment, i.e. the online payment mode. The various payment options are net banking, wallets, debit card and credit card. Take the printout of the confirmation page for further use. Candidates need not send a hard copy of their documents or application form to the University. There will be a correction form facility for a specified period. Rectify the errors if your application form has any wrong details. Nationality: Indian as well as International candidates, including PIO, NRI, FN, etc. are eligible to apply for the Uttar Pradesh State Entrance Exam 2019. Age: No prescribed age limit for the AKTU/UPTU 2019 exam. 12th pass with Physics, Mathematics and any one of the following subjects: Bio-Technology/ Chemistry/ Biology. General candidates should have scored at least 45% marks in aggregate of three subjects. For SC/ST category students, the minimum score is 45%. 12th pass with Physics, Mathematics and any one of the following: Chemistry/ Bio-Technology/ Biology/ Technical Vocational subject. General candidates should have scored at least 45% marks in aggregate of three subjects. For SC/ST candidates, minimum marks in aggregate are 40%. 12th pass with Physics, Chemistry and any of the following subjects: Biology/ Bio-Technology/ Mathematics/ Technical Vocational Subject. General candidates should have scored at least 45% marks in aggregate of three subjects and SC/ST category candidate 40% marks in aggregate of three subjects. General candidates should have scored at least 45% marks and for SC/ST candidates, it is 40% marks. Candidates should have completed graduation from any recognised university or college. For an MCA course, candidates must have studied Mathematics either at intermediate or graduation level. General candidates should have passed the qualifying examination with at least 50% marks, and SC/ST category candidates should have passed this exam with at least 45% marks. 12th pass with Mathematics, Physics and any one of the following subjects: Computer Science/ Chemistry/ Engineering Drawing/ Biology/ Technical Vocational subject. Candidates must have passed the examination with at least 50% marks. General category students should have scored at least 45% in aggregate of three subjects, and SC/ST category candidates should have scored 40% marks. 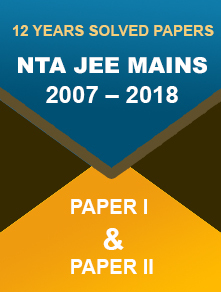 The syllabus of UPSEE 2019 is vast and differs from one paper to another. All in all, there are eleven papers and each paper covers topics from different areas. The subjects like Mathematics/Biology, Chemistry and Physics comprise topics of classes 11th and 12th. Click here for the complete UPSEE syllabus 2019 chapter-wise. There will be 11 papers. Paper-1, Paper-2, Paper-3 and Paper-4 will be OMR based, while the remaining papers will be computer based. All the papers will be objective type except Part-B of paper-4. Candidates will be getting 4 marks for each correct answer. There will be no negative marking. All the questions are objective-types (MCQs). 50 questions - each from PCM comprising of total 150 questions. 50 questions - each from PCB comprising of total 150 questions. 50 questions - each of Mathematics from Aesthetic Sensitivity with a total of 100 questions and 2 questions from Drawing Aptitude. The UPSEE 2019 admit card will be made available to candidates through online in the first week of April 2019. During the admission and counselling process, the qualified candidates will be required to produce their admit cards. Make adequate efforts to keep your UPSEE 2019 hall tickets safe till the admission process is over. Carry it with care to the examination hall. UPSEE 2019 will be conducted in 49 cities including Bhopal, Bhagalpur, Jaipur, Patna, Ranchi, Chandigarh, Dehradun and Delhi. The UPSEE 2019 result will be declared in the last week of May. Along with the result, the aspirants will avail the UPSEE 2019 answer key too. A merit list of candidates for each course will be prepared on the basis of performance in the exam. Q: When will the online application form of UPSEE 2019 be available? A: From the 3rd week of January 2019. Q: If the general candidates have less than 45% marks, are they eligible for this exam? A: No, the general candidates with less than 45% marks in the aggregate of three subjects (Physics, Chemistry and Mathematics/Biology) are not eligible for this exam. Q: I am an Arts Graduate, but I have passed my 12th exam with Physics, Chemistry and Mathematics, which course will be appropriate for me in accordance with UPSEE? A: Since you have studied Mathematics in 12th standard, you can apply for an MCA course. You are even fit for an MBA course also. In today’s time, both the courses are equally important. Q: Is there a facility of correction in the application form of UPSEE? If yes, what is the date? A: In case, the applicants commit any mistakes while filling in the online application form, there is a facility for correction. The date for correction is the 3rd week of March 2019. Q: What is the total number of papers in UPSEE 2019? A: There will be 11 papers in total. Q: Papers will be OMR based or computer-based? A: Paper-1, Paper-2, Paper-3 and Paper-4 will be OMR based, and the remaining papers will be computer based. Q: What is the duration of the exam? A: Three hours time will be allotted for the exam. Q: Will the marks be deducted for wrong answers? A: No marks will be deducted for wrong answers as there is no negative marking. As a result, candidates can make the best guesses. They should not leave any questions unanswered.